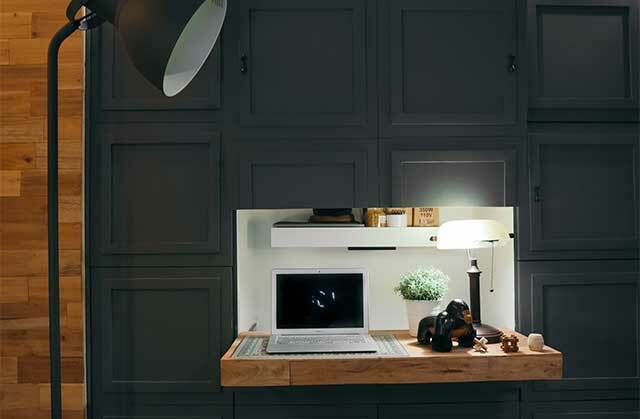 If you want hidden storage solutions, look no further than these studio units. 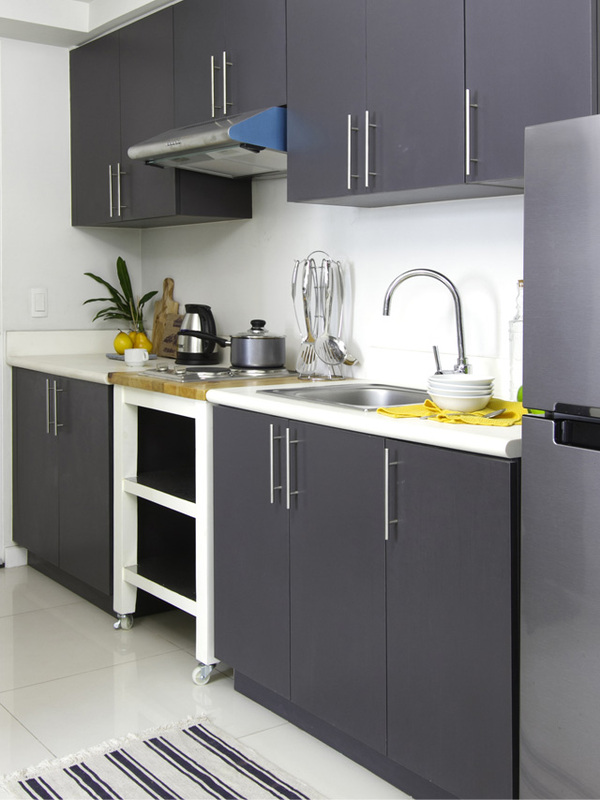 All of these homes will give you clever—and usually hidden—small space solutions to help clear your clutter. Architect Ivy Darilag incorporated built-in units that transform into beds at night. 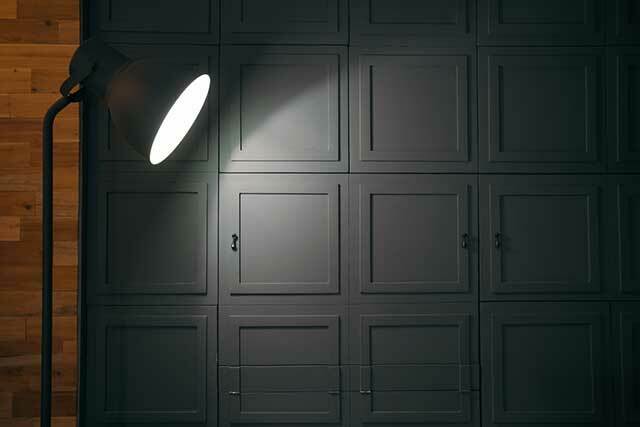 One of these is this Murphy bed that can be folded neatly to look like a wall panel (below). Morfosis design duo Pai Edles and Misty Floro are known for their edgy style and space-savvy solutions, like this sleek, black dining table that folds away and out of sight after dinner. 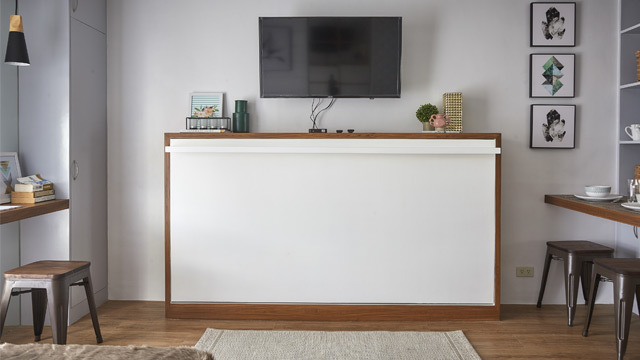 Interior designer Nikki Audine also incorporated a fold-out dining table that cleanly tucks away into the TV cabinet. 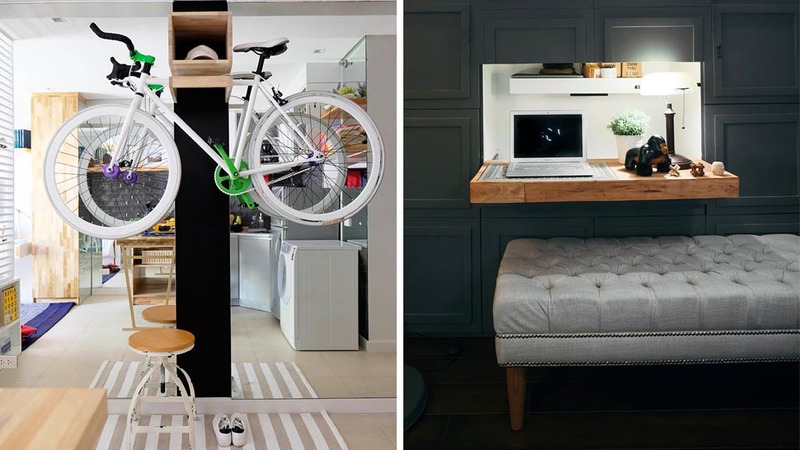 Real Living stylist and interior designer Tala Singson took advantage of an awkward gap in between kitchen counters to add this clever little island-on-wheels that can be rolled out when needed. 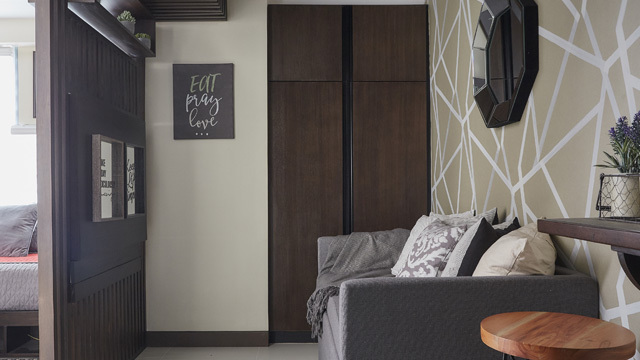 Cebu-based interior designer Maya Franco created this bachelor studio unit with space-enhancing features in mind, such as this mirrored wall. 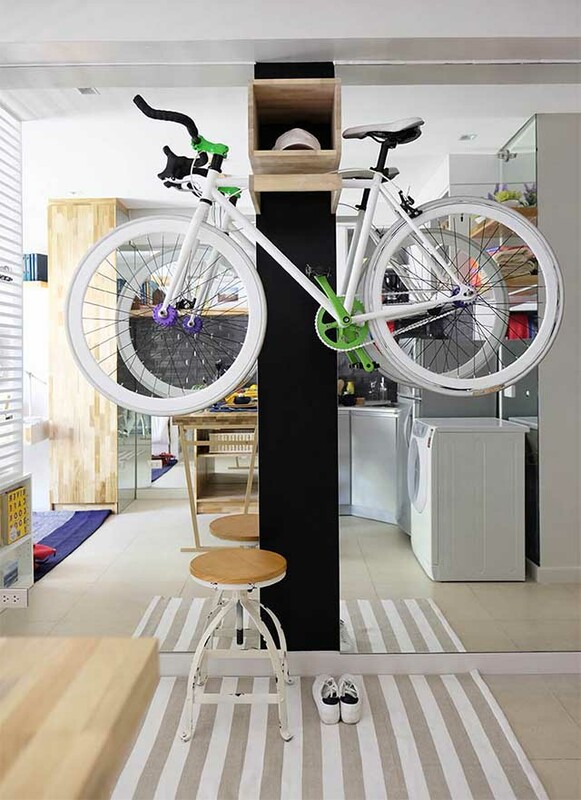 She added a very discreet wooden bike rack with a tiny cubbyhole for a cap or bike accessories. 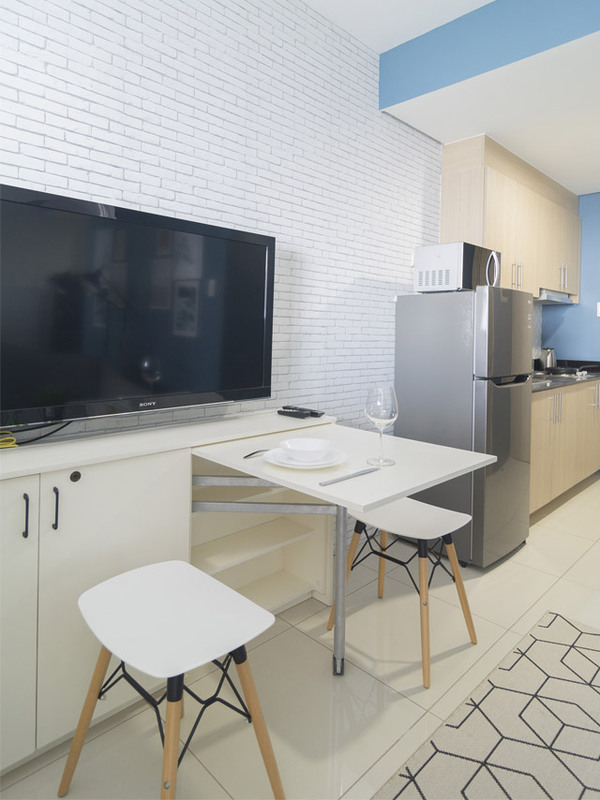 In this lounge area (which also doubles as a sleeping nook, by the way), the residents can pull out the TV anchored on the screen and turn it their way—or towards the opposite side. 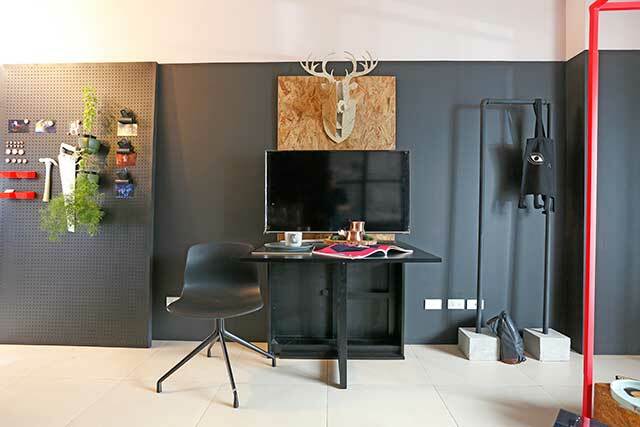 This 18sqm pad designed by Bash Batara and Jolo Francisco has loads of hidden storage solutions, such as paneled accent wall that actually hides a work desk (below), closet, and pantry. 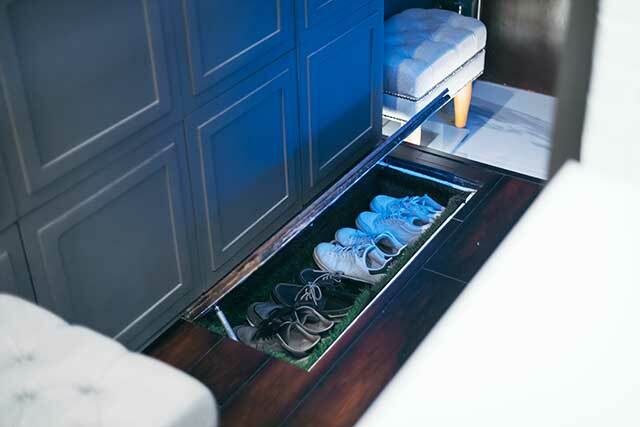 There’s also a secret compartment built within the floor for Marlon’s shoes; it’s lined with faux turf to serve as a mat and add a green accent, too.